I’ve been playing a ton of old games on my Switch. If you own one, you probably have too. Now, sure, that is in part because the Switch doesn’t have that many exclusive games. But it’s also because Switch is a fantastic way to catch up on older ones. Today it’s getting Limbo and Inside, tomorrow, the Crash Bandicoot N. Sane Trilogy and Wolfenstein II: The New Colossus. Yeah, the Switch is turning out to be something of a port machine, but I love it. Every week, more old games get ported to Nintendo’s hybrid device, and every week I find myself thankful that’s the case. A few months ago, I was afraid 2018 was shaping up to be an off-year for the Switch. After its unbelievable 2017, this year wasn’t looking as strong in terms of great new games. While this is true in terms of exclusives, the overflow of awesome ports is making up for it. Switch had a shockingly good first year. Close to 18 million Switches were sold in its first year, putting it 4 million units ahead of the lifetime sales of the Wii U and in the neighborhood of what the PlayStation 4 achieved at the same point in its lifecycle. 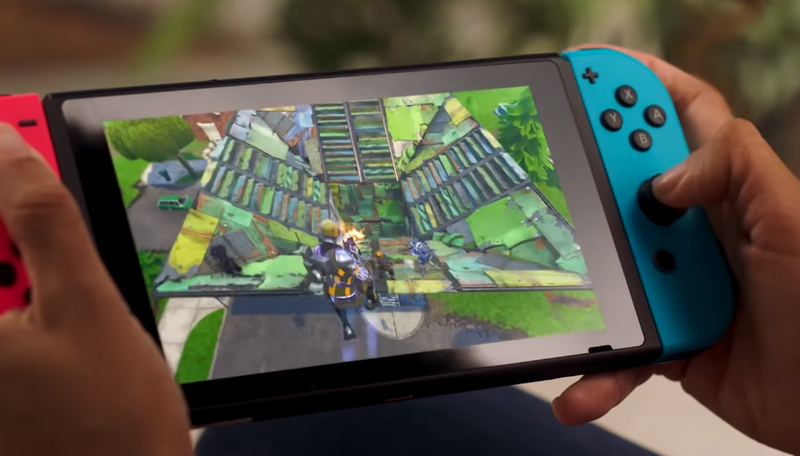 There were no doubt lots of reasons for this level of success, not the least of all being that the Switch is simply a really nice piece of hardware both to hold and to play games on. There were also a slate of great exclusives for it in 2017, bookended by two of the year’s most anticipated and, it turns out, best games: The Legend of Zelda: Breath of the Wild and Super Mario Odyssey. In terms of big new releases, 2018 has turned out to be something else entirely. Nintendo kicked 2018 off with a Direct in early January. Fans had been speculating for weeks about what the company would announce. Nothing much new, it turned out. But the cumulative effect of more and more Wii U ports has been hard to ignore, with games like Hyrule Warriors and Donkey Kong Country: Tropical Freeze becoming two of my unexpected favorites among the games I dipped into this spring. The former is a hack-n’-slash mashup that will melt your brain and the latter gave one of Nintendo’s best non-Mario platformers in recent years a fresh start in front of newer and bigger audience. Ask 10 different people to name 10 different ports they’d like to see on Switch, and you could get a hundred different answers. Most of them would probably be decent choices, too. Bayonetta came out for the PlayStation 3 and Xbox 360 in 2009. Bayonetta 2 released on the Wii U in 2014. Both didn’t find as big of an audience as they deserved the first time around, and combined they proved to be one of the best anthologies you could buy when they arrived on the Switch this past February. Bayonetta 2 + Bayonetta 1 is hardly alone in that regard, though. Another Direct in March revealed a new Smash Bros. as the console’s big end-of-year release, but beyond that, more ports, like Okami HD and and Captain Toad: Treasure Tracker. Most recently at E3, Nintendo revealed a new Mario Party game would be headed to the Switch in October, but two of the biggest announcements were that ports of Fortnite Battle Royale and Hollow Knight, two of last year’s best games, would be available to download on the Switch starting that day. There’s a case to be made that June has been one of its strongest months yet in terms of releases. There’s a lot of emphasis on being on the cutting edge in games, something that not only comes from the millions spent on marketing but also the culture around comparing everything from framerates to how many characters can appear on the screen at the same time. Sometimes we talk about old games from a few years ago as if they’re ancient. The barrage of sequels doesn’t help either, especially given their iterative nature. Every new game in a series is supposed to be better in every way than its predecessor. As a result, games that look like the next big thing one year can feel disposable or even obsolete not long after. Anyone who’s ever looked at the $5 clearance bin at a GameStop or Best Buy knows this. There are more than a few great games on the Wii U that have gotten the second looks they deserve thanks to the Switch, but also a long list of indie games, like Shovel Knight and Enter The Gungeon, which released forever ago on other consoles but received newfound love after coming to Nintendo’s hybrid console. It’s partly a testament to just how many great games have been released over the last few decades that deserve to be played and replayed. In years past, ports were often games I’d already beaten or decided never to touch again, but now they’re more often stuff I always meant to get around to trying or finishing but could never find the time to like The Binding of Isaac, which I fell in love with all over again when Afterbirth+ was ported last spring. Some games sell millions of copies, many only sell a few hundred thousand or less. The end result is that most people haven’t played most games, even the great ones, something that only becomes more true as each new year goes by. When old stuff reappears on the Switch though, surrounded by a sea of white space thanks to the interface’s minimalistic layout, it feels like thumbing through a set of timeless classics at a bookstore, or critically-acclaimed movies and TV shows on Netflix. Most of them are also unquantifiably transformed by being playable anywhere at anytime on a lovely tablet screen with analog sticks and mechanical buttons on the sides. Having Stardew Valley or Darkest Dungeon integrated into the ebbs and flows of daily life—commutes, lunch breaks, waiting for friends to show up before a Happy Hour or movie—also makes it possible to enjoy them free from the churn of new games vying for my attention when I sit down to stare at my Steam library or whatever’s new on Xbox Marketplace. And unlike the company’s previous handhelds, the Switch also plays gorgeous-looking games in the ballpark of what’s possible on modern consoles. The port of Doom 2016 is proof of that. There’s something fashionable about Switch, too. It feels fresh, even cool—not things we normally associate with Nintendo, but it’s 2018 and here we are. Like any trend, this phenomenon is also self-reinforcing. The more people are excited about the Switch and talking about what they’re currently playing on it, the more other people feel like it’s the place to be and want to be a part of the scene, even if it’s to play games that have already been available on other platforms for months or even years. Where Steam is an overwhelming marketplace where what’s being played on Twitch and YouTube on any given day receives outsized attention, the smaller, more curated Switch ecosystem is out of sync with, and therefore somewhat protected from, the normal half-life of game-centric conversations. The Elder Scrolls V: Skyrim is a good example. If there’s a poster child for games that are played out, Bethesda’s open world RPG should be near the top of the list. Seeing it on Switch, the sixth platform it’s appeared on in almost as many years, even I, Skyrim hater that I am who ditched the game after only 10 hours when it was on the Xbox 360 back in 2011, felt like last fall was the time to be playing it again and I had license to give it a second chance. I bought it, started it up again, and found it oddly comforting to occasionally wander through the snowy mountains of Tamriel again while sprawled out underneath the covers of my warm bed throughout the winter. Nintendo has not solved the lack of triple-A third-party support that has been plaguing it since the days of the Wii. Call of Duty: Black Ops 4 won’t be on the Switch. But those absences feel less acute when filled with a burgeoning library of the past decade’s best games. There’s no denying that the post-Breath of the Wild, post-Odyssey Switch is, at this moment at least, primarily a port machine. But instead of being hurt by that fact, it’s instead managed to make the reemergence of old games feel trendy by reflecting them through the gloss of sleek new tech. Where the App Store led to a great devaluing of mobile games, including console ports, the Switch seems to have successfully raised the value of everything it touches.